Shocking: Amit Shah Replaces LK Advani! Much to everyone's shock, BJP Leadership fielded none other than Amit Shah in Gujarat's Gandhinagar Lok Sabha Segment for 2019 Elections. This is the constituency represented by LK Advani. 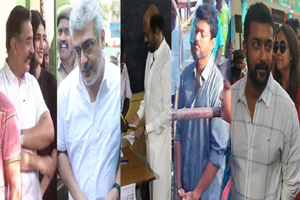 He won against his nearest Congress rival by a margin of over 4 lakh votes in 2014 Elections. BJP unveiled its first list of 184 MP Candidates on Thursday. Unfortunately, Advani's name went missing. What does that mean? BJP Leadership which sidelined Advani after 2014 Elections will be denying him even MP Ticket in 2019 Polls? 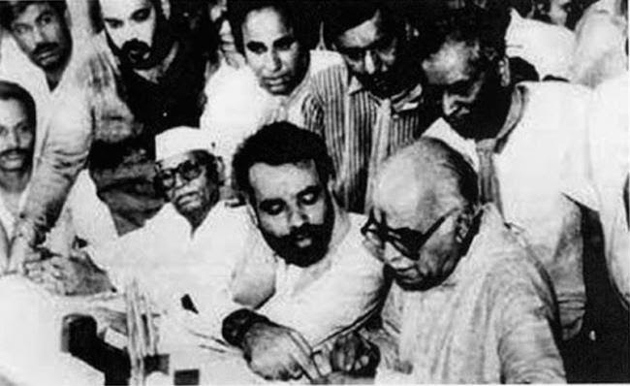 An old photograph of Modi accompanying Advani when he filed nomination in Gandhinagar for 1991 Lok Sabha Polls went viral Today. On the other hand, Prime Minister Narendra Modi will be contesting again from Varanasi in Uttar Pradesh. Union Home Minister Rajnath Singh is going to contest from Lucknow segment. Another Union Minister Nitin Gadkari has been fielded in Nagpur. BJP decided to make Smriti Irani contest against Rahul Gandhi once again in Amethi. Coming Soon: Mohan Babu's Dharna Against TDP!